Fetal alcohol syndrome is a serious condition that affects approximately two out of every 1,000 babies born in the United States. The condition is tragic in that it is 100 percent preventable. Children who are born with fetal alcohol syndrome are victims who suffer from a lifetime of problems. It is a condition that cannot be reversed and for which there is no cure. For that reason, mothers-to-be must be properly educated about alcohol use during pregnancy and fetal alcohol syndrome. Additionally, in the event that a baby is born with the condition, it is crucial that early diagnosis is made so that proper care is provided to reduce the risk of certain side effects. FAS is defined as a cluster of irreversible defects in infants who are born of mothers who have consumed alcohol during their pregnancy. Defects include mental and/or physical issues, and the condition is in fact one of the most common causes for mental retardation. Fetal alcohol syndrome belongs to a serious of related disorders known as fetal alcohol spectrum disorders. It is the most severe type of this disorder. There are certain signs that are characteristic of FAS. These can be physical and/or behavioral. Physical characteristics of fetal alcohol syndrome include a head circumference that is smaller than normal; abnormalities of the face, such as small eye openings and eyes that are wide-set, flat cheekbones, and a thin upper lip; and a low birth weight. Behavioral symptoms include difficulty in or lack of concentration, stubborn behavior, impulsiveness, hyperactivity, social withdrawal, and anxiousness. Children with FAS may also have difficulty concentrating or paying attention, poor motor skills and coordination, learning disorders and/or difficulty solving problems, mood changes, or poor memory retention. Symptoms of FAS may vary from child to child. How is Fetal Alcohol Syndrome Caused and Prevented? As noted, the consumption of alcohol during one’s pregnancy can result in fetal alcohol syndrome. This can happen even during the first several weeks of pregnancy. The alcohol travels from the mother to her fetus via the placenta. Because of the size of the fetus and its undeveloped organs, it is unable to process the alcohol as an adult would. 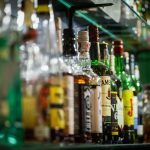 This concentration of alcohol in the baby’s system hinders the transference of oxygen and nutrition that important developing organs and tissue rely on. This causes fetal alcohol syndrome. Whether a child has FAS or not depends entirely on the actions of the mother during her pregnancy. The only sure way to prevent FAS from occurring is for women to completely avoid drinking alcohol while pregnant. 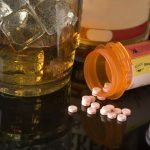 Ideally, a woman who plans to attempt getting pregnant should refrain from drinking alcohol, as she will likely become pregnant before she realizes it. 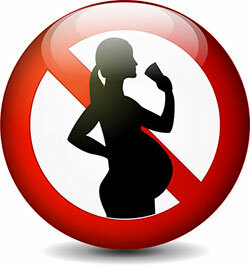 Spouses and partners can help prevent FAS by supporting the mother-to-be in her efforts to not drink. Alcohol isn’t the only substance that can affect a fetus during pregnancy. Women who take illicit drugs are also putting their babies at risk for a number of health problems. Many of these problems are severe and may be life-threatening. Some common drugs that some pregnant women may take include marijuana, cocaine, heroin, LSD/PCP, and methamphetamine. Marijuana: Common concerns associated with prenatal use of marijuana include the increased risk of harmful substances present in the marijuana. Use can result in a number of problems depending on how much is introduced. Smoking marijuana deprives the fetus of oxygen, and as a result, the infant may be born underweight. Cocaine: Prenatal exposure to cocaine may result in premature births and babies with low birth weights. Cocaine may result in giving birth to a baby that has brain damage or suffers from other types of birth defects. The mother may experience elevated blood pressure that can cause separation of the placenta from the uterus. If this happens, the death of the fetus is likely to occur. Babies are also at risk of sudden infant death syndrome, or SIDS, and may have urinary or reproductive organs that are deformed. There may be a slight delay in the child’s development, particularly when it comes to motor skills, and some tests have shown that as the child becomes older, they may become increasingly impulsive, have problems with memory or with paying attention, or have hyperactivity problems. As infants, these children may also be difficult to comfort or soothe and/or may suffer from fine tremors. Heroin: Heroin users often give birth to infants who have become addicted to the drug while in the womb. Once born, the infants of heroin addicts suffer from withdrawal. There is also a risk of premature delivery, or the baby may have stunted growth or a low birth weight. In addition, mothers using heroin may have spontaneous abortions. People caring for these infants should expect a baby who is not easily comforted and is often irritated or irritable. Some infants born of mothers who used heroin while pregnant may also suffer from seizures and have problems with breathing. Developmental problems, both physical and mental, may also arise. What Kinds of Illegal Drugs are Harmful to Fetuses? PCP/LSD: Women who use PCP/LSD or “acid” while pregnant run the risk of having a miscarriage or giving birth to a baby with birth defects. Infants may be born addicted and suffer from withdrawal symptoms following birth. Additionally, children may also have problems that affect them in terms of behavior, their ability to learn, and emotional development. Brain damage is also a potential concern. Methamphetamine: Methamphetamine use can result in problems at birth and problems that can have lifelong consequences. Women who use meth are often at risk of giving birth prematurely. The risk of the placental lining separating from the uterus, which is known as placental abruption, is also elevated. The fetus may have some retardation of growth as well. Abnormalities of the brain, heart, spinal cord, and kidneys are additional problems that babies subjected to methamphetamine in the womb may be faced with. Infants may be sensitive to touch and light, suffer from tremors, and have difficulty with things such as sucking and swallowing. Some studies have shown that these children may also suffer from motor problems and some slight impairment in attention, increased stress, and problems with learning as they age.